Fall is on the way to the Eastern Sierra!! I always see colorful leaves that have already changed after coming down from backpacking in the high country as soon as Labor Day. This always seems early but the scraggly small shrub like aspen always turn quickly. The larger healthier trees next to water hold on much longer into the autumn season. You’ll notice most Sierra in Autumn pics are mostly gold and orange. 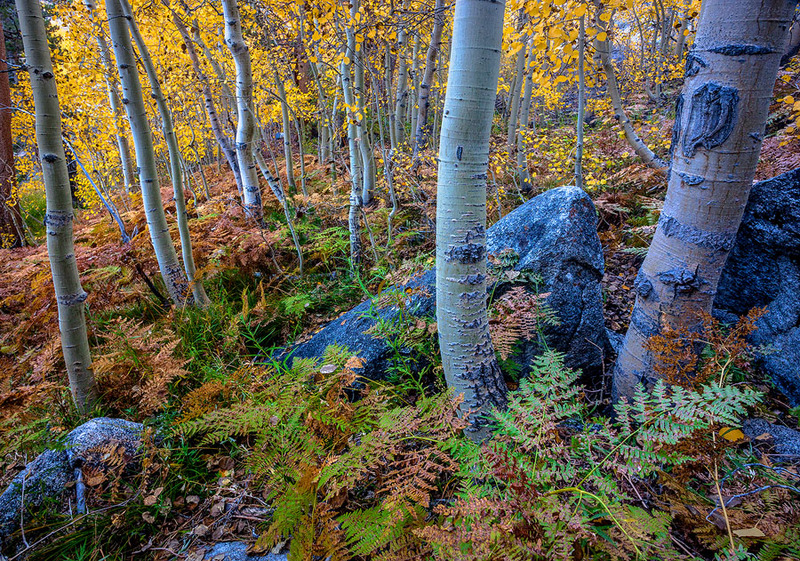 It’s tough to go out and find a good mixed color palette in the Eastern Sierra. Keep that in mind during your search for color up here. Enter your email address to subscribe to this blog and receive notifications of new posts by email without spam.